Jeppesen, a part of Boeing Commercial Aviation Services, recently added new features for Jeppesen Mobile FliteDeck VFR on iPad. Enhanced app capabilities include data-driven auto zooming for real-time accuracy and software improvements to drive flight efficiency. The new auto zooming capability included with Mobile FliteDeck VFR version 1.5 provides pilots with an automatic, optimal view of the current chart scale, through all phases of flight. This ability eliminates the need for the pilot to manually scale the chart or select between terminal and enroute maps, establishing a unique “hands-off” navigation experience. The data-driven nature of Mobile FliteDeck VFR provides a seamless presentation of information, with track-up navigation capabilities and smooth transitions from take-off to landing. Additional enhancements included in Mobile FliteDeck VFR version 1.5 also include download management capabilities and significant performance improvements for iPad 2, iPad 3 and iPad mini. Jeppesen Mobile FliteDeck VFR combines the industry’s top navigation information with a crisp, data-driven chart display. From this integrated foundation, METARs, TAFs, TFRs and NOTAMs are accessible amongst airspace warnings and other essential functionality – all of which promote enjoyable VFR flying backed by superior flight data. Jeppesen Mobile FliteDeck VFR is available for a free download and trial phase through the App Store on iPad or at www.itunes.com/appstore/. Full U.S. VFR data coverage is available with a $49 annual Jeppesen data subscription. For more information on Jeppesen Mobile FliteDeck VFR, videos, tutorials and insights into the design and development team, please visit www.jeppesen.com/flitedeck-vfr. For 80 years, Jeppesen has made it possible for pilots and their passengers to safely and efficiently reach their destinations. Today, this pioneering spirit continues as Jeppesen delivers transformative information and optimization solutions to improve the efficiency of air and sea operations around the globe. 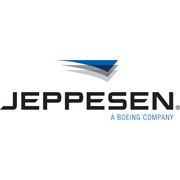 Jeppesen is a Boeing subsidiary and part of the Digital Aviation business unit within Boeing Commercial Aviation Services. Boeing offers the industry’s largest portfolio of services, support and solutions, collectively known as the Boeing Edge, providing customers a competitive advantage by solving real operational problems, enabling better decisions, maximizing efficiency and improving environmental performance – intelligent information solutions across the entire aviation ecosystem.